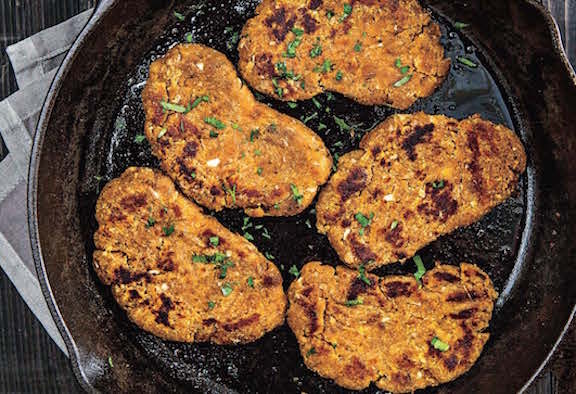 Chickpea Cutlets are a classic recipe from Isa Chandra Moskowitz, fantastic for Thanksgiving or Christmas menus, or everyday meals. They come together in no time at all, taste great smothered in gravy, and put your steak knives to work. Place a big pile of these in the middle of the table or stuff them into a sandwich—or just slice them up in a salad. Excerpted from The Superfun Times Vegan Holiday Cookbook © 2016 by Isa Chandra Moskowitz. Reprinted with permission of Little, Brown and Company. All rights reserved. 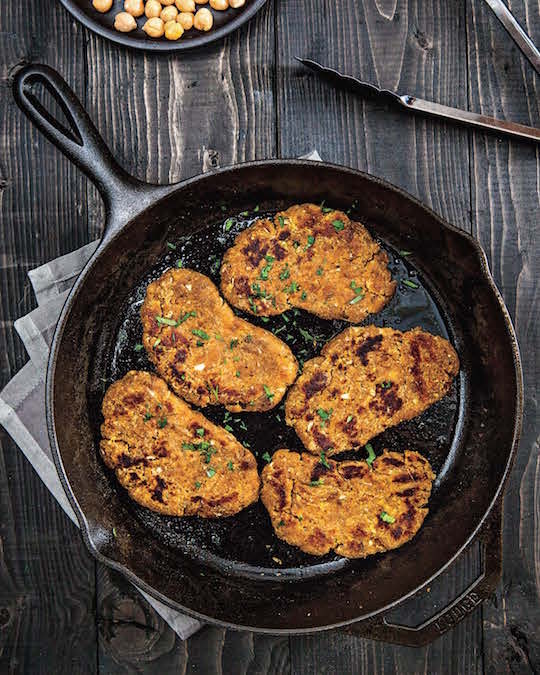 Chickpea Cutlets are a classic recipe from Isa Chandra Moskowitz, fantastic for Thanksgiving or Christmas menus, or everyday meals. In a mixing bowl, mash the chickpeas together with the oil until no whole chickpeas are left . Alternatively, you can pulse the chickpeas in a food processor. We’re not making hummus here, so be careful not to puree them, just get them mashed up. You can also sneak the garlic cloves in here instead of grating them—just pulse them up before adding the chickpeas. If you’re using a food processor, transfer to a mixing bowl when done. Divide the cutlet dough into two equal pieces. en divide each of those pieces into four separate pieces (so you’ll have eight all together). 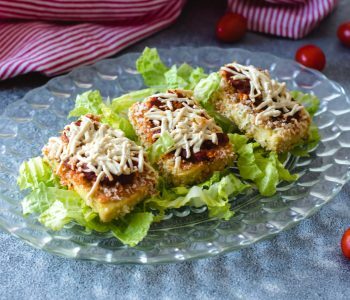 To form the cutlets, knead each piece of dough in your hands for a few moments and then flatten and stretch it into a roughly 4-by-6-inch rectangle. The easiest way to do this is to form the rectangle in your hands and then place the cutlet on a clean surface to flatten and stretch it. Preheat a large, heavy-bottomed skillet (preferably cast iron) over medium-low heat. If you have two pans and want to cook all the cutlets at once, go for it. Otherwise you’ll be doing them in two batches. Add a shallow layer of olive oil to the bottom of the pan. Place the cutlets in the pan and cook on each side for 6 to 7 minutes. Add more oil, if needed, when you flip the cutlets. they’re ready when lightly browned and firm to the touch. They cook more thoroughly if you cover the pan in between flips. Use a spatula to press down on them occasionally while they’re cooking, to help them cook more evenly. Now, let them rest for 10 minutes or so and serve. Tip: Wheat gluten can vary from brand to brand. These come out great with Arrowhead Mills or Bob’s Red Mill, although I think Bob’s makes them a bit firmer. Also, use store-bought bread crumbs unless you plan on tweaking the liquids in this recipe. Homemade bread crumbs tend to make the cutlet mixture too mushy. This post contains affiliate links. If the product is purchased by linking through this review, VegKitchen receives a modest commission, which helps maintain our site and helps it to continue growing! Is there a gluten substitute?